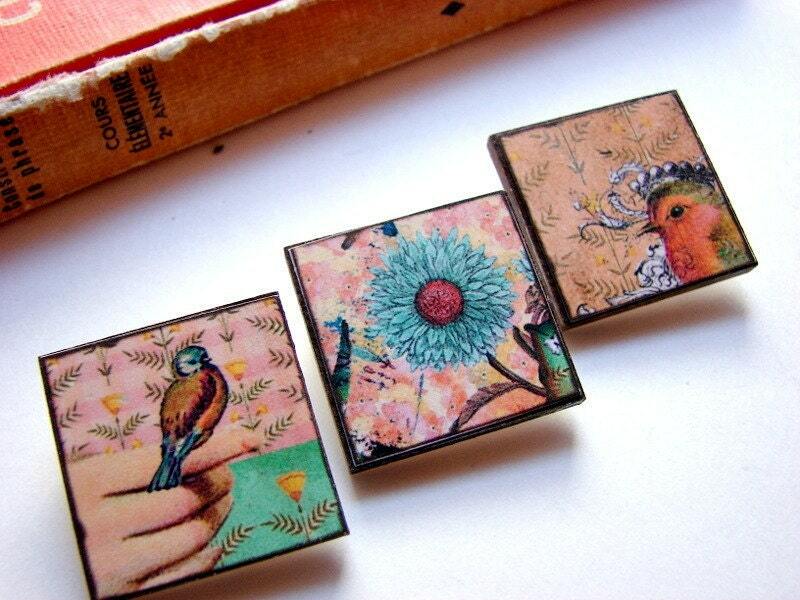 Set of three tiny decoupaged paper and particle board tile pin brooches- Bird in Hand and Blue Flower. Illustrations cut from a purchased collage sheet are each decoupaged onto a particle board (wood) tile then sealed with a clear acrylic spray finish. These are very small pins, each measuring about 1" square, with a standard pinback.